Put your data to work. 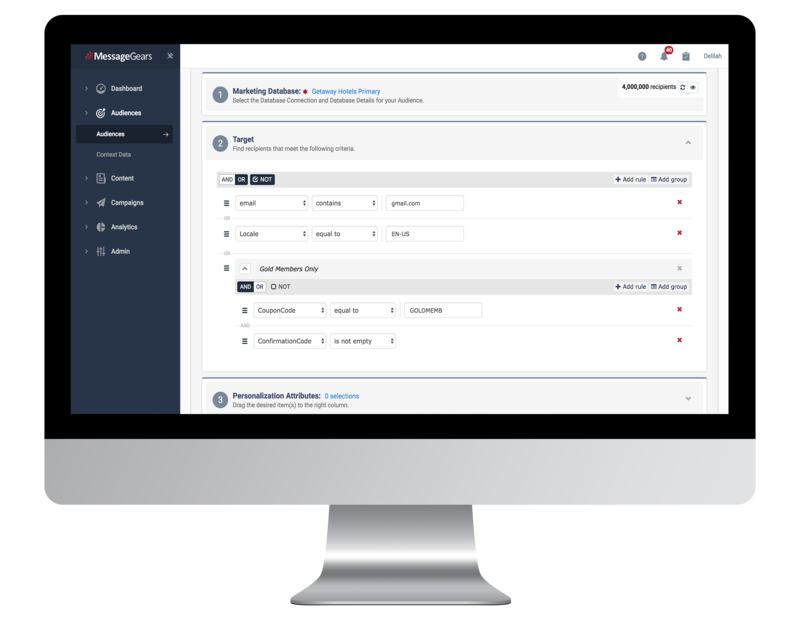 MessageGears is the only cross-channel marketing platform purpose-built for Super Senders using Snowflake, allowing it to remain the central database of record while sending highly dynamic and personalized marketing campaigns using all of the data available. No more replicating, syncing, and storing data in a marketing cloud. This is how Super Senders do cross-channel messaging. Maintain your Snowflake instance as the true system of record for your cross-channel marketing efforts. Leverage the power of Snowflake during segmentation, personalization, and analytics processing. Use your Snowflake data to create dynamic, personalized marketing campaigns and easily orchestrate and automate across email, push, and SMS.